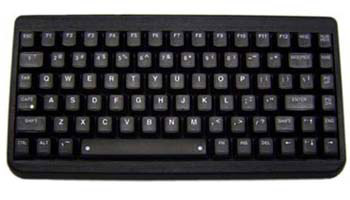 Tg3's BL82 LED Backlit Keyboard with water resistant splashguard has a low profile with full size keys. Please call 800-459-7931 to order. +5VDC @ 220mA typical with red backlighting. Current consumption depends on LED color. Consult factory for details.